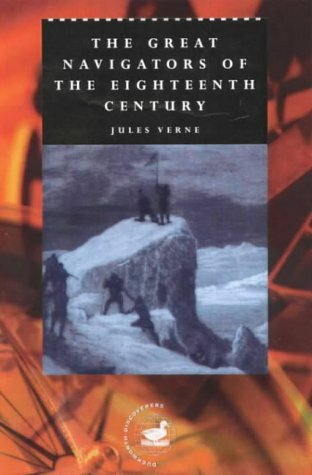 In this this work of non-fiction Verne recounts the voyages of various European navigators, such as Alexander Selkirk (Robinson Crusoe), Captain Cook and de Bougainville to all parts of the globe. Verne clearly researched his subject in order to assemble detailed accounts of the explorers' climactic, navigational and health hazards, and their discoveries of flora and fauna. The manners, customs and costumes of native inhabitants are elaborately described. Illustrated with maps and engravings of navigators and natives, locations and animals, the book provides a wealth of historical information as well conveying the sense of adventure enjoyed by the explorers. John Wesley Powell was a U.S. soldier, geologist, and explorer of the American West. He is famous for the 1869 Powell Expedition, a three-month river trip down the Green and Colorado rivers that included the first passage through the Grand Canyon. by H. St. J. B. Philby - Constable & Co.
Of the pleasant year I spent sojourning and wandering amid the deserts and oases of Arabia I have endeavoured to compile a record, at once fully descriptive of my own experiences and designed to serve my successors as a guide in their wanderings. In his book Stevenson gives an accurate and in depth look into the people and culture of the islands of the South Pacific. The book describes the author's two year journey from the Marqueses Islands, to Tahiti, then Honolulu, and finally Samoa. Jim Corbett killed a leopard at the age of nine and achieved a legendary reputation as a hunter. Here is the best of his books, which offers fascinating tales of pursuing tigers in the Indian Himalayas during the beginning of 20th century.